FORTPORTAL – KCCA FC will return to action on Tuesday in the Uganda Cup, two days after they were eliminated from the CAF Confederations Cup by Otoho Doyo. The Kasasiros who defeated their Congolese counterparts 2-0 on Sunday bowed out of Africa’s second premier club competition 3-2 on aggregate following a 3-0 loss in the first leg. A chance for redemption avails its self in-form of Tooro United as the reigning defending champions seek to reach the round of 16 for the up-tenth time. However, Tooro are in no mood to let KCCA have a breather as they are also interested in making it to the next level. “We treat all games the same way but what makes this different is that it’s a knock out competition, said Tooro United head coach Wasswa Bbosa ahead of the game. “You win and advance and if you lose, you are out and we want to stay in the competition. “We respect KCCA as the holders, with quality playing staff and bench but we are at home and that gives us extra morale. 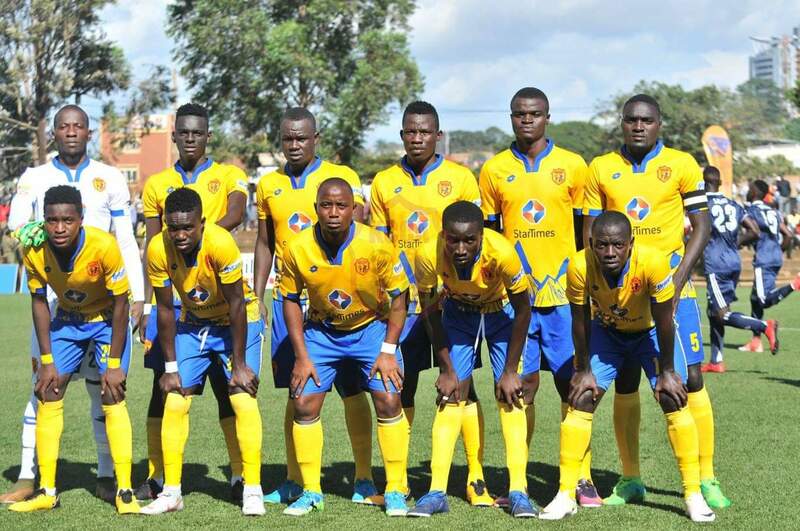 KCCA are expected to field 16 of the 18 players that featured against Otoho on Sunday with only Filbert Obenchan and Mustafa Kizza missing due to injuries. The duo will be replaced by Bernard Muwanga and Lawrence Bukenya who sat out Sunday’s crunch tie. To get here, Tooro defeated Entebbe FC 2-0 while KCCA schooled Amuka Bright Stars 8-2. This will be the 13th competitive meeting between the two sides since 2013. In the past 12, Tooro has managed only two wins, none coming in the last 8 fixtures. For KCCA, they have won 8 of the 12, including a penalty shoot-out victory in this competition in March last year. KCCA FC are currently on an 8 game winning run in the competition, dating back to 03-02-2018. In that period, they have scored a competition high of 28 goals whilst conceding only 5. However, away from home, the victories have been coming by a slim margin with only the 4-0 away to Mbarara in February 2018 coming by two or more goals. All their last three trips in this competition (including last years’ final) have ended 1-0 in their favour. For Tooro, they have won three and lost one of their last 4 Uganda Cup games. The loss was in the penalty shoot-out defeat to KCCA at this stage last year.